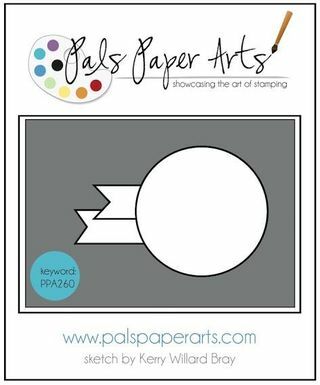 Today I’m using the same card for many reasons…Blog, Pals Paper Arts, Pals Gallery and my 30 Day Challenge! 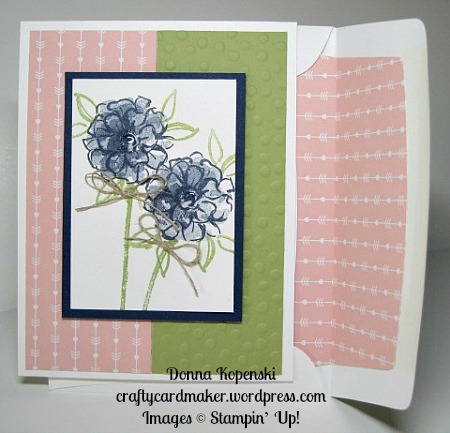 For the PPA we were to use Blushing Bride, Pear Pizzazz and Night of Navy. This is what I came up with…not sure what sentiment I’ll put inside yet. Clean and simple! 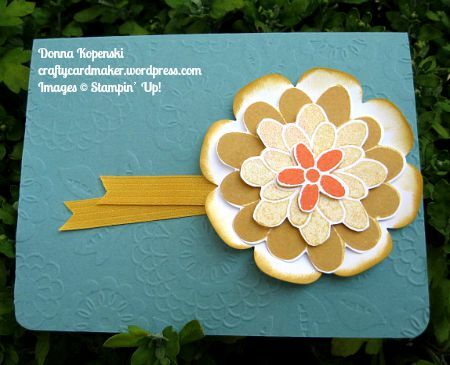 I used the same DSP for the envelope liner. I am happy with the end result! 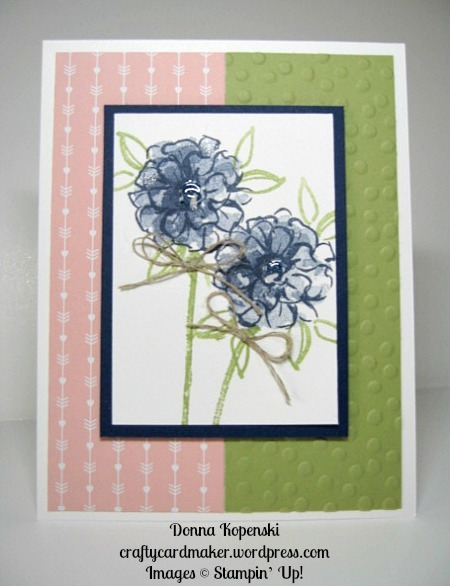 You might notice I used some Crystal Effects in the centers of the flowers. My floral arranging classes told me to always arrange flowers in odd numbers but this time the two flowers work out just fine. 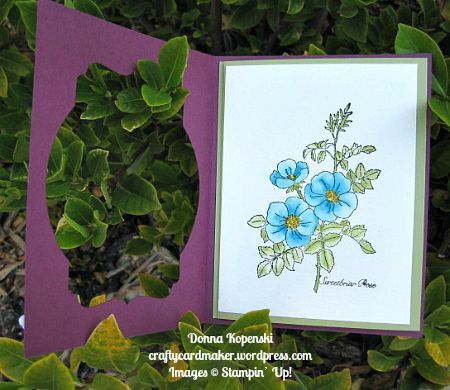 This was a good way to use one of the Sale-A-Bration stamp sets! 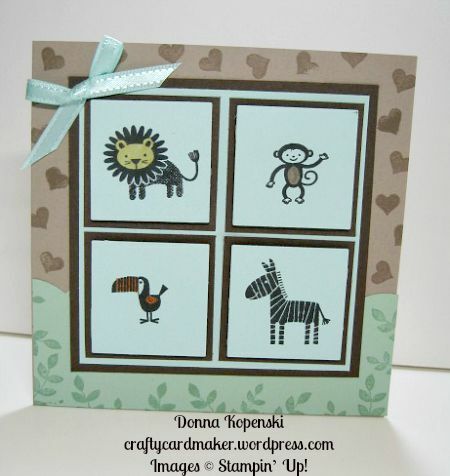 This is one of the cards we will use for our next class using watercolors. The photo does not do it justice unfortunately. 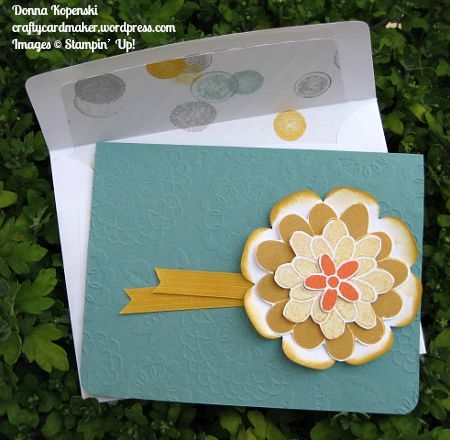 Isn’t this a lovely folded card! 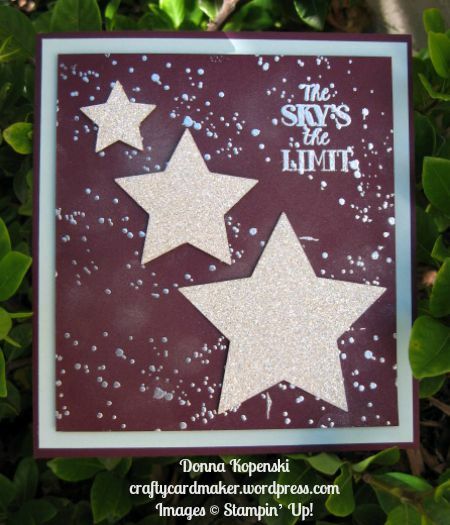 I got the idea from fellow demonstrator Julie Davison. 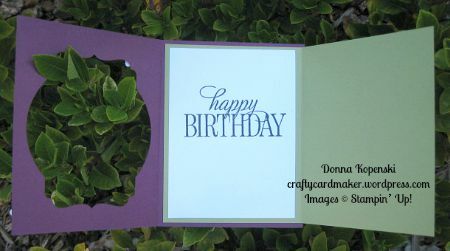 Hope you enjoyed my card and will try these colors yourself and also the folded card. 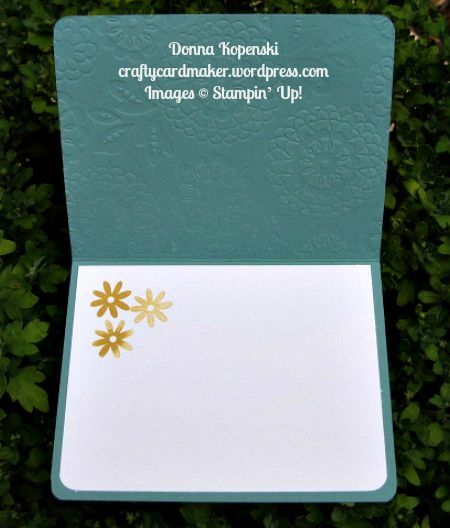 Here is my creation for this week’s challenge using Tip Top Taupe, Mint Macaron and Pool Party. 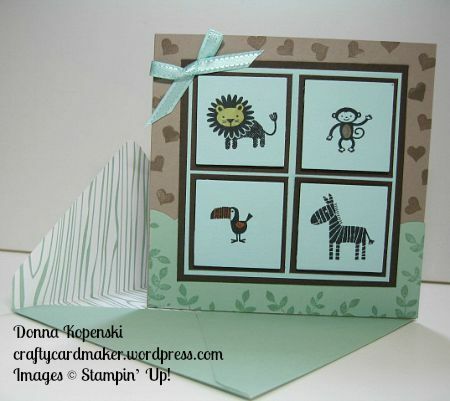 I love the stamp set Zoo Babies so I just had to use it. As it turns out, the daughter of a very dear friend is having twins the end of October and is having a girl and a boy so I think this card is perfect. 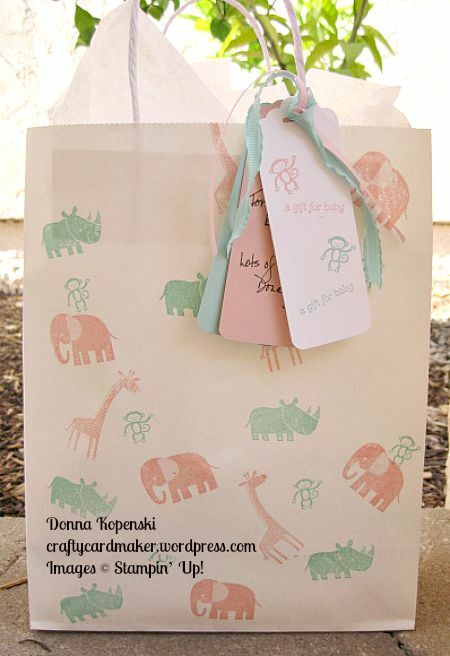 Here’s the bag I stamped with the gift tag. As you can see I got more into the pink and blue/green. 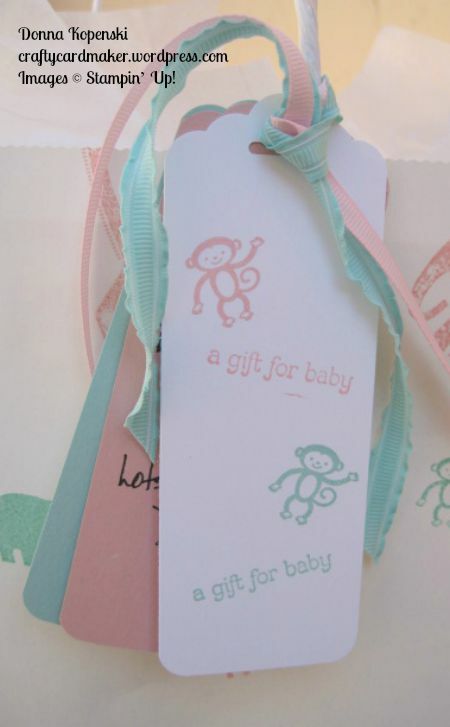 This card, bag and tag were so much fun to create especially since it was for a special person. Here’s the sketch. Very simple and I didn’t elaborate on the design. 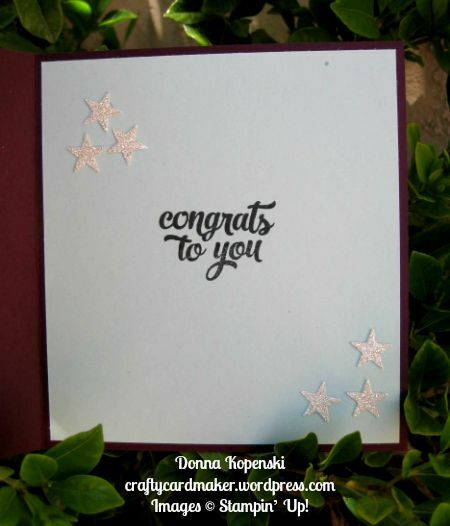 I used the Lovely Lace Embossing Folder for a background. I love how delicate this EF is. 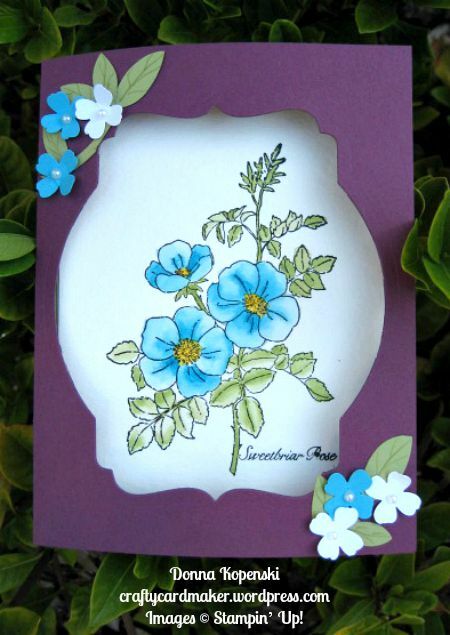 I made the flower using Flower Patch SS and Flower Fair Thinlits then added a white frame from the Floral Frames Thinlits. 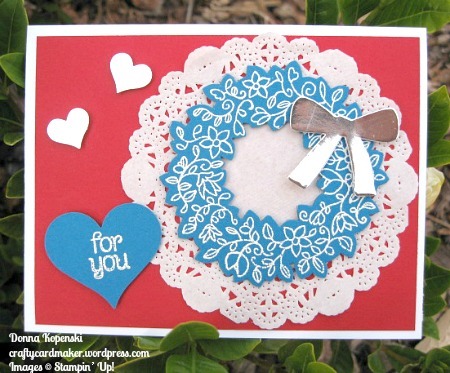 This card is VERY simple and clean. 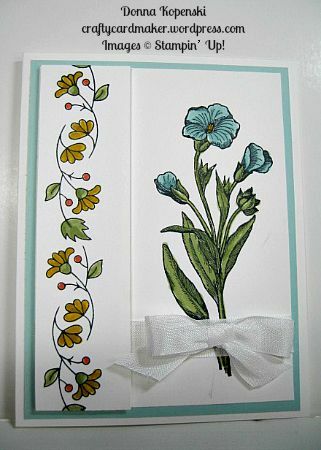 I used the small flower on the inside but did not add a sentiment since I can use this card for any occasion. These colors are patriotic but I changed it up a bit. 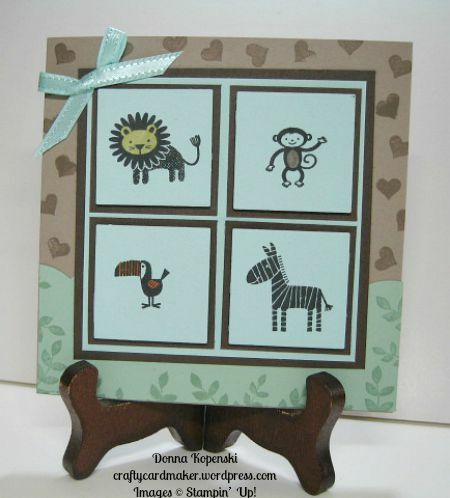 Love this new stamp set Circle of Spring with the Wondrous Wreath Framelits. I don’t usually use doilies but I tried it and liked it. 🙂 I use these challenges to push myself out of my comfort zone a bit. Why don’t you try to see what you can come up with using this color palette. Send me a photo and I’ll post it on my blog.